HTC's higher-resolution Vive Pro, first announced back in January, is setting new records for the price of a mass-market virtual reality headset. Existing HTC Vive owners will be able to reuse those accessories if and when they upgrade to the Vive Pro headset. New users, however, will currently have to purchase them à la carte (an HTC representative tells Ars that pricing for a separate "full kit" Vive Pro package will be announced soon). 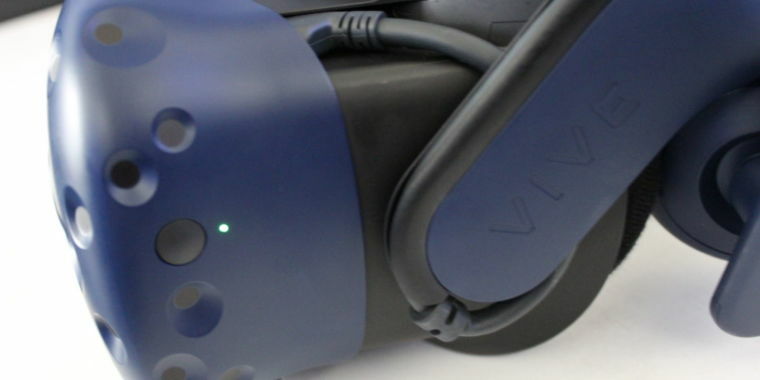 Further Reading Eyes-on with the HTC Vive Pro: Not a revolution, but also more than resolution HTC currently sells Vive controllers for $130 each and tracking base stations for $135 each. In addition to saving about $30, they'd get a bonus, original Vive headset for their trouble.